Showing 4 articles from September 23, 2016. LOUISBURG - Patrick Andrew Taylor, 58, of Louisburg, died Thursday afternoon. BUNN -- Last season, Omar Rosa was a novelty third-down fullback for the Bunn Wildcats -- and quite an effective one at that. But when injuries depleted the fullback position this fall, BHS coach David Howle bestowed increased responsibilities for Rosa, who was previously more known for his work along the line. Rosa just keeps getting better and better at his new craft -- a fact that was in evidence during Friday's 52-36 home decision over non-league opponent Nash Central. 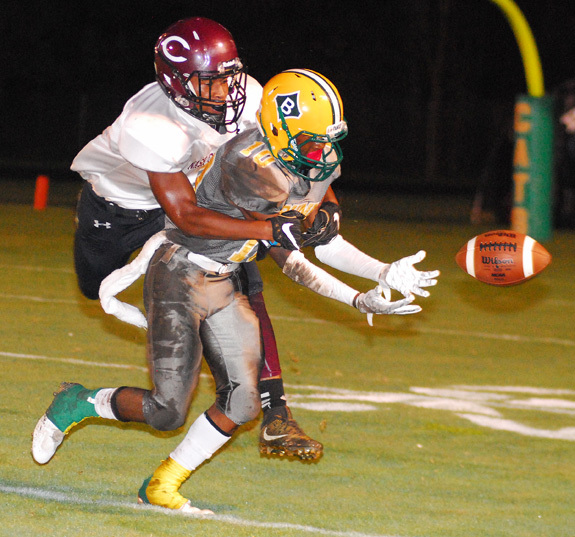 STEM -- Even without seven starters unavailable due to injury, Franklinton found a way to get past Granville Central on Friday in a non-conference football matchup. The Red Rams, who were competing without starting quarterback Kyeon Spencer and running back Tyreese Williams -- among others -- rallied with 14 points in the third period to defeat the host Panthers by a 14-9 margin. ROCKY MOUNT -- With time beginning to run short -- Louisburg turned to Quamon Person to do the heavy offensive lifting during Friday's non-league home football contest against Southern Vance at Patterson Field. Person delivered a pair of fourth-quarter touchdowns as the Warriors rallied for a 33-18 triumph over the Runnin' Raiders. 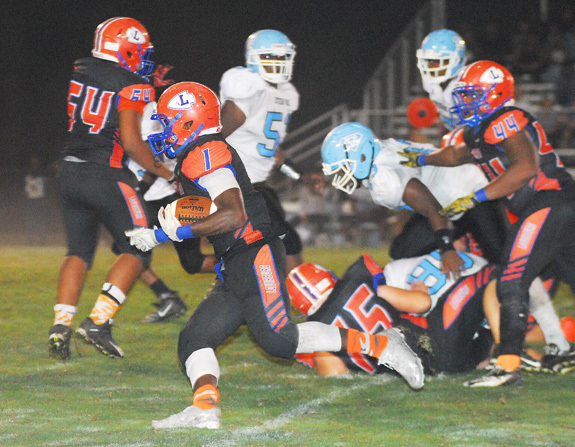 Louisburg is now 2-3 overall, while Southern Vance dropped to 0-5 on the campaign.